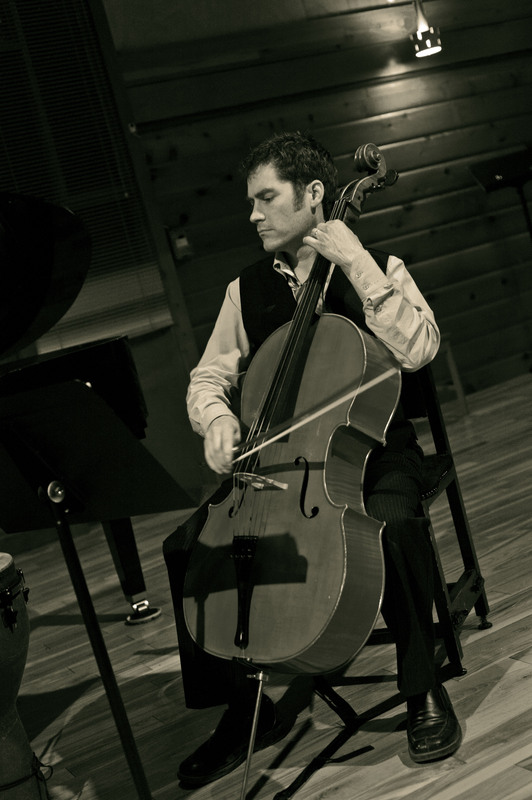 Apparently the Nelson cellist Jeff Faragher has a number of missions. Jeff is determined to get classical chamber music on the local cultural map. He also seems determined to break down walls and preconceptions about classical music and music in general. In the past 12 months he has toured as solo act, with the La Cafamore String Quartet and, this past week, with the Selkirk Trio. 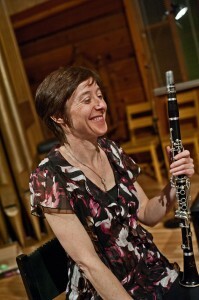 In each of these concerts the programs have been adventurous and eclectic. The Selkirk Trio with Jeff on cello, Nicola Everton on clarinet and Sue Gould on piano, performed last Wednesday at the Knox Presbyterian Church in Cranbrook. And, true to form, the program was spectacular. The audience was asked to start their evening by dipping into the bright, bouncy and melodic pre-romantic music of Beethoven’s “Gaussenhauer-Trio”. This was before they were called upon to experience the cultural shock of the warm turbulent Cuban waters of Paquito D’Rivera’s “Afro”. Paquito is a master Cuban clarinettist and Alto Sax player who has, at one time or another, dominated Cuban Jazz and Classical music. The rhythmic nature of the composition was re-enforced by the Jeff doing double duty on cello and Djembe (West African drum). Nino Roto is better known to audiences through his orchestral scores for The Godfather I & II. It is not his only claim to fame. He is prolific composer who at his peak was producing 10 scores a year. The trio presented two movements from one of his chamber music compositions. The first was somewhat dark (shades of the Godfather) and the second “lively and cheeky”. Some minor key pieces by the German Jewish composer Max Bruch were followed by the exotic Serbian Dance compositions of Marko Tajcevic. This Serbian music was a complete revelation. Arthur Rubenstein was known to have played transcriptions of these compositions and his influence was very evident in Sue Gould’s lively accompaniment to Nicola Everton’s absolutely liquid clarinet playing. Nicola bounced and oozed her way through the exotic odd metre eighth rhythms of music that sounded like it came straight off the streets of Zagreb. The trio returned to the streets of Cuba with Paquito D’Rivera’s “Danzon”. One again the rhythmic elements of the music were re-enforced with some shaker accompaniment by Nicola Everton and Jeff’s percussive tapping all over the body of the cello. The evening concluded with Sue Gould and Nicola Porter giving full rein to their jazz inclinations with a wonderful rendition of Cole Porter’s “Night and Day”. 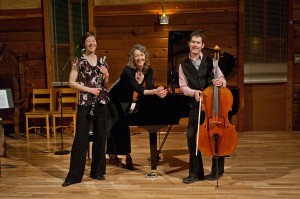 This was a night of enthralling music presented by some of the finest musicians living in the Kootenays. The Knox Presbyterian Church in Cranbrook is an absolutely ideal venue for Classical Chamber music. 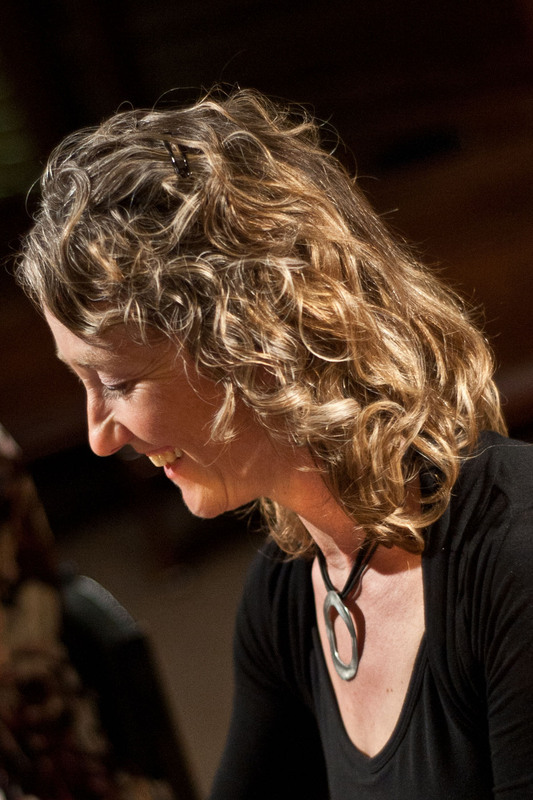 It is bright and airy with good acoustics and an especially fine grand piano.Jeff will be returning to Knox Church with the La Cafamore Quartet and guest pianist Nina Horvath on May 12th, 2012. Mark it on your calendar.